The new Justin Alexander Signature collection for Spring/Summer 2019 is dreamy! 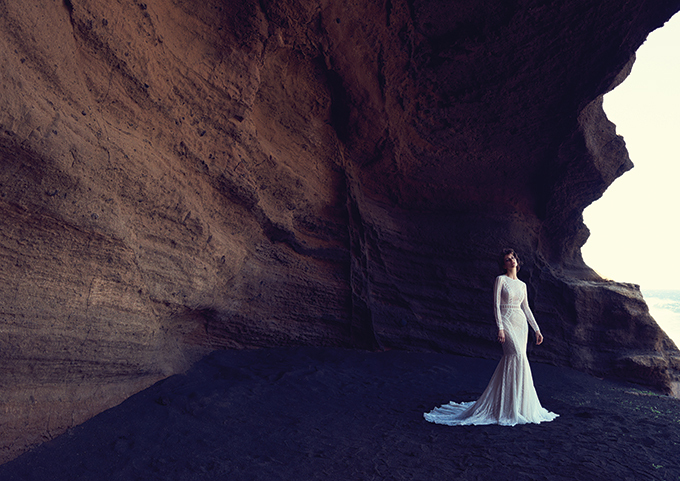 Shot at a gorgeous location in the Canary Islands, this collection will mesmerize you! It features beautiful wedding gowns with embellishments and dramatic fit that will steal your heart! The luxurious wedding gowns are a perfect fit for stylish brides that are looking for unique wedding dresses that will turn all eyes on them! From Justin Alexander: “Our collection was inspired by the juxtaposition of modernity and opulence. This collection illustrates perfectly balanced, diverse styles exquisitely brought to life. Lanzarote in the Canary Islands is a mystical location. It has a volcanic origin, providing spectacular black sand and edgy rock formations to serve as the backdrop of our dramatic campaign. We wanted this Justin Alexander Signature campaign to feel more climactic and powerful. 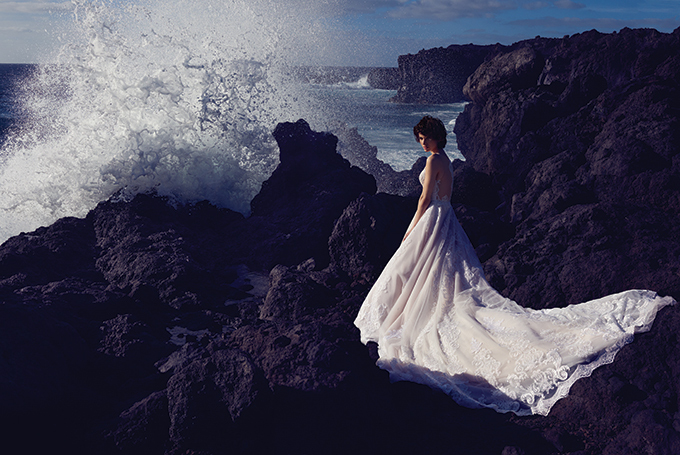 In our campaign, the powerful waves crash amidst the extravagant landscape, while the eye is drawn to the captivating beauty of these gowns. The moody scene of earthy tones presents the perfect juxtaposition for highly beaded dresses, with embellishments illuminating the vividly dark setting”.